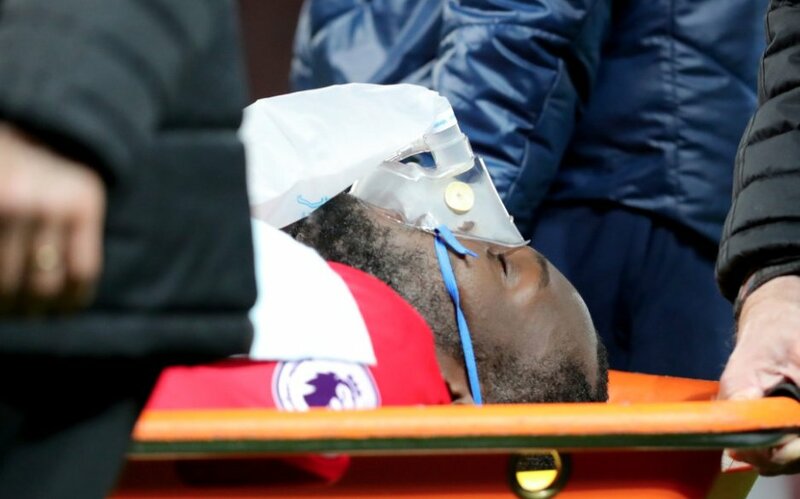 Romelu Lukaku was stretchered off with an oxygen mask in the opening quarter of an hour in Manchester United’s 0-0 draw with Southampton on Saturday. Saints defender Wesley Hoedt accidentally headbutted the Belgian international in the back of the neck in the opening minutes of the game at Old Trafford when both players challenged for a header. Lukaku was down for six-and-a-half minutes before being stretchered off to be replaced by Marcus Rashford. Should Mourinho be accurate it means Romelu Lukaku would miss the trip to former club Everton on New Year’s Day and the FA Cup third round tie at home to Derby County on Friday. Zlatan Ibrahimovic was not included in our matchday squad for the visit of Southampton on Saturday whilst Mourinho also has Marcus Rashford and Anthony Martial who he can call upon for these games.